Summer wouldn’t be summer without the 4th of July! And what’s better than getting your children excited (and educated) with these wonderful 4th of July books for kids. 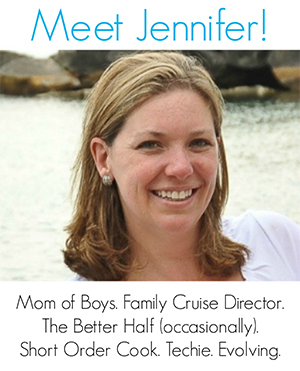 If you ask, most people will tell you their favorite holiday after Christmas is Halloween… but not this mama! The 4th of July is my personal favorite — to me it’s all about community, summer and sharing our heritage as Americans, no matter our background. 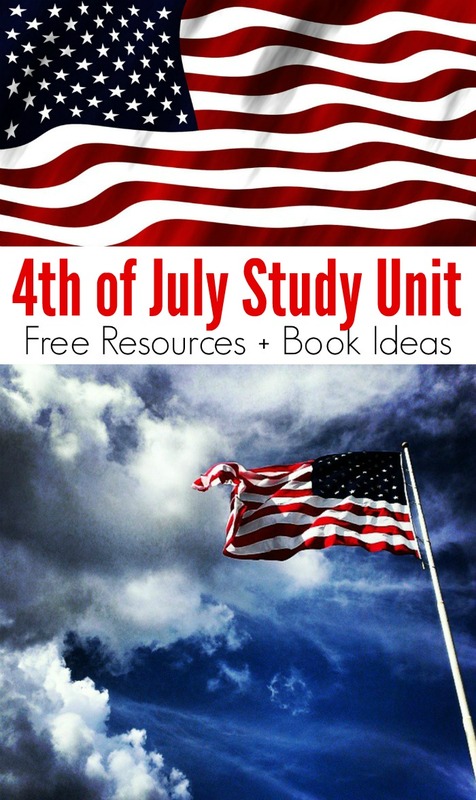 This week I’m joining up with some fellow bloggers to create a rounded study unit about this all-American holiday — the 4th of July! 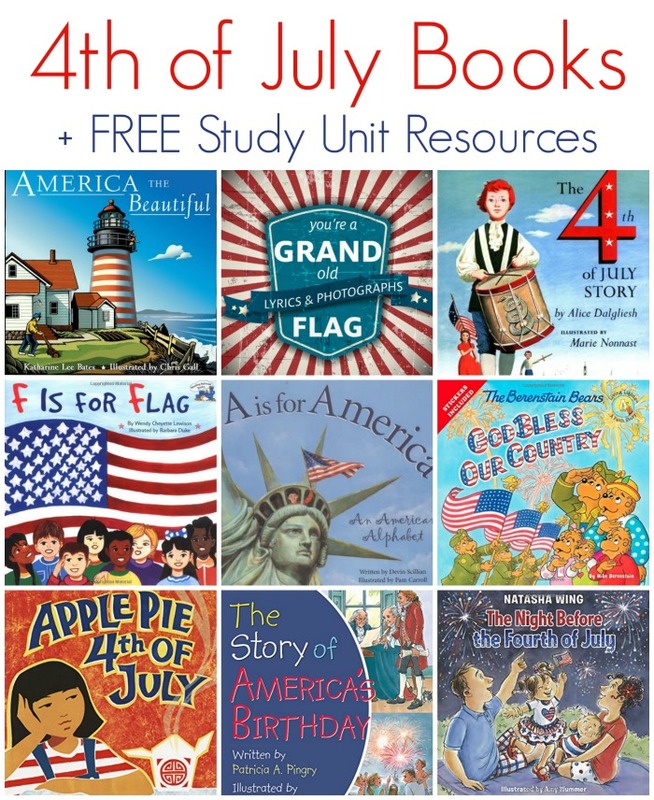 You can find these 4th of July books for kids at your local library or purchase through the affiliate links provided for your convenience. 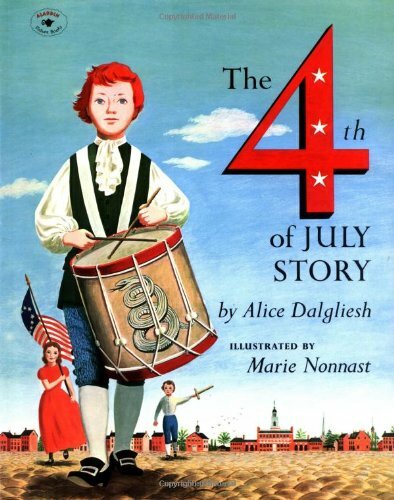 The Fourth of July Story: Two-time Newbery Honor author Alice Dalgliesh makes history come alive in this accessible story of America’s birthday. 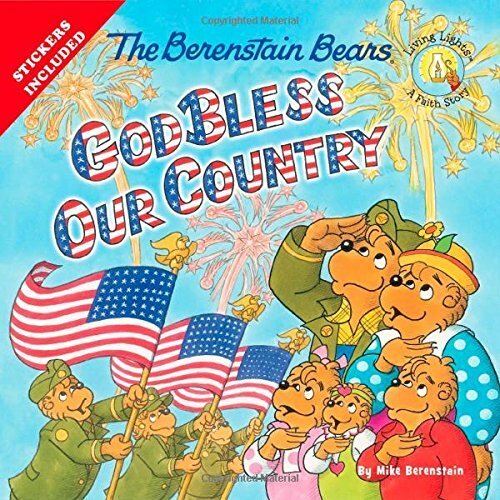 The Berenstain Bears God Bless Our Country (Berenstain Bears/Living Lights): The Bear family and their Bear Country neighbors celebrate the Fourth of July with a big parade. But not before the cubs get a lesson about the blessings of freedom for their country. Features 12 full-color stickers. 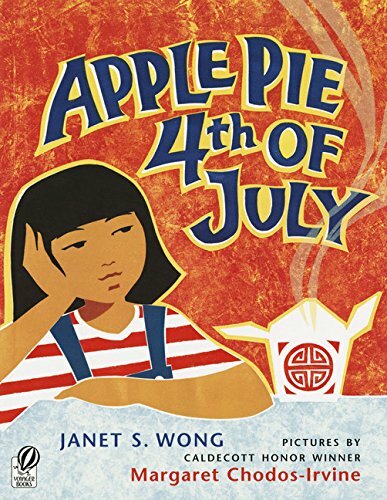 Apple Pie Fourth of July:Shocked that her parents are cooking Chinese food to sell in the family store on an all-American holiday, a feisty Chinese American girl tries to tell her mother and father how things really are. But as the parade passes by and fireworks light the sky, she learns a surprising lesson. The Night Before the Fourth of July:It’s the night before the Fourth of July and all across the United States people are getting ready for hot dogs and fireworks. 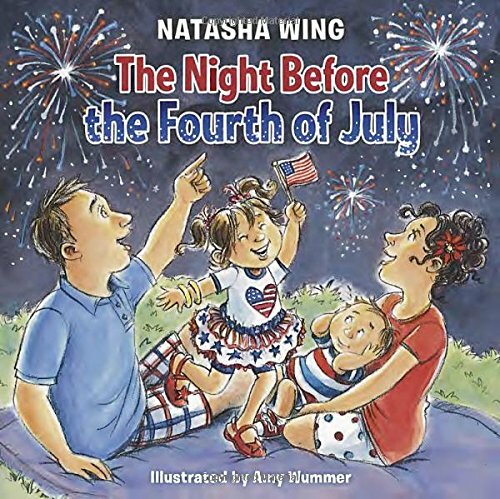 Decked in red, white, and blue, a family heads to a parade, hosts a backyard BBQ with friends and family, dodges an afternoon thundershower, and of course, watches a fireworks show.The Night Before the Fourth of July captures all the fun, excitement, and pride of the best summer holiday! 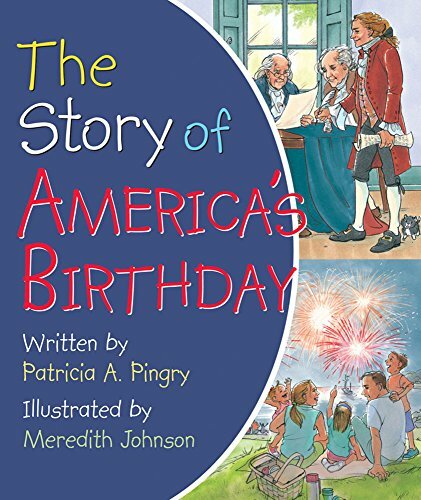 The Story of America’s Birthday: This little book presents the story of the founding of America in words that are simple enough for a toddler to understand. Vibrant illustrations paired with the text help to create the connection between the story of the Declaration of Independence and American Revolution and today’s Fourth of July festivities. Parents can use this book to introduce little ones to the history and meaning behind Independence Day. 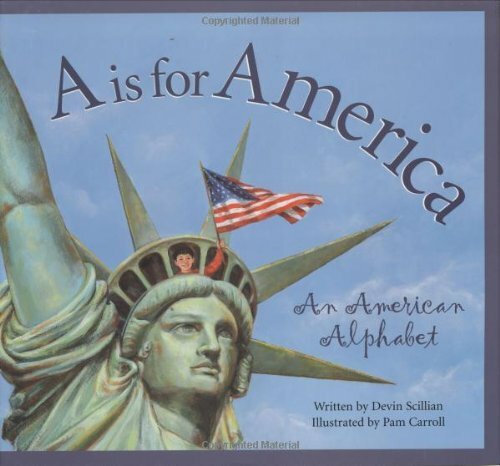 A is for America: From the British and our Constitution that replaced their rule, to Yellowstone Park and Zane Grey’s stories of the west, “A is for America” is a sweeping tribute to all we know and love about our country. With delightful poems that beg to be read aloud, and expository text to broaden a student’s horizons, this American alphabet will make you fall in love with the United States over and over again. Bright, beautifully detailed illustrations from California artist Pam Carroll bring each letter to life, from eagles to Thomas Edison to the veterans of two World Wars. 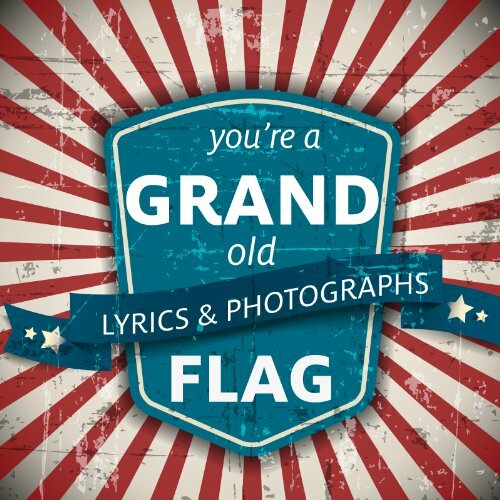 You’re a Grand Old Flag: A Patriotic Book based on the Classic Song: The lyrics this patriotic classic are combined with stunning photographs of the American flag and displays of USA pride. With one line on each page, people of all ages will enjoy singing the song while looking at the images. 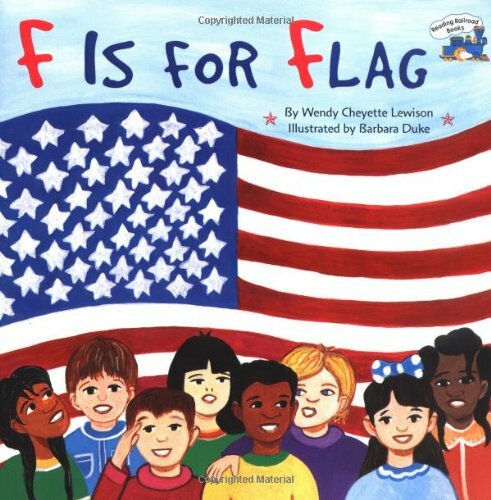 Celebrate America’s Independence day with this short book and use it as a teaching tool to share the song and images of the flag with children for the Fourth of July. 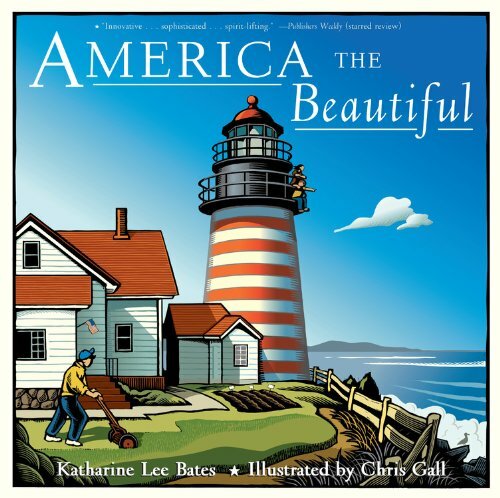 America the Beautiful: From his unique perspective as the great, great grandnephew of “America the Beautiful” writer, Katharine Lee Bates, Chris Gall transforms this beloved patriotic song into monumental works of art–from purple mountain majesties to gleaming alabaster cities. Honoring his ancestry and national pride, Gall pairs the beautiful lyrics with striking illustrations of notable American images such as Pike’s Peak, the Tuskgee Airmen, and firefighters raising the American flag at Ground Zero. Like these 4th of July books? Find even more engaging book lists for kids with more than 100 book-themed reading lists! In addition to offering recommendations of 4th of July books for children, I’ve teamed up with some fellow bloggers to offer you homeschool and in-class resources to teach kids about the 4th of July!